Item # 300110 Stash Points: 5,195 (?) This is the number of points you get in The Zumiez Stash for purchasing this item. Stash points are redeemable for exclusive rewards only available to Zumiez Stash members. To redeem your points check out the rewards catalog on thestash.zumiez.com. When it comes time to layer up make sure it's the comfortable and durable Carhartt Signature hoodie. 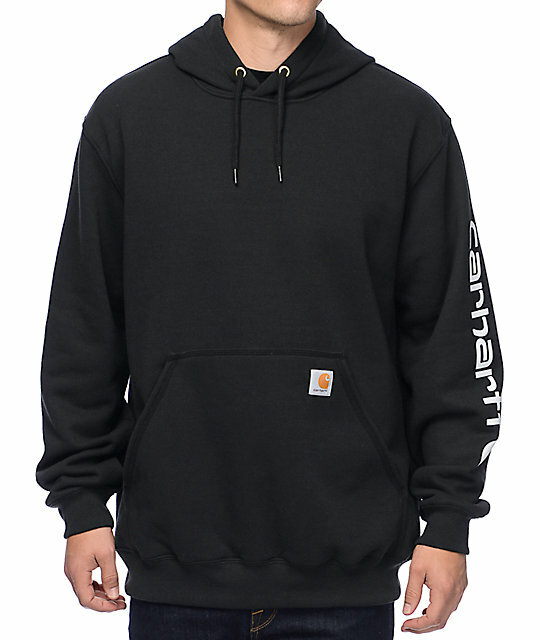 This black hoodie has a roomy original fit with a soft fleece and tagless collar lining to give you a comfortable fit and showcases a Carhartt signature text logo graphic on the left sleeve for subtle branding. Screen print graphic left sleeve. 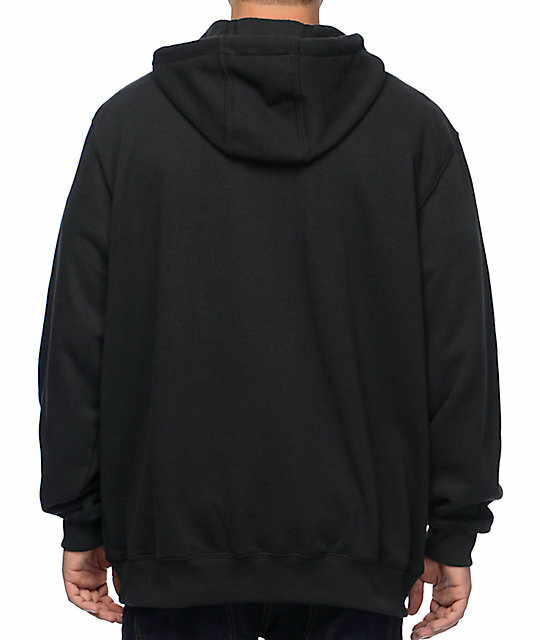 Three panel drawstring adjustable hood. Spandex reinforced ribbed knit cuffs and waist. 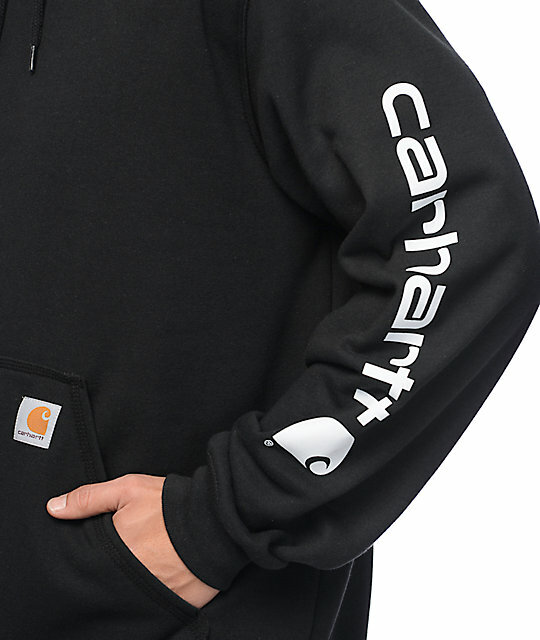 Carhartt logo patch on the pocket.